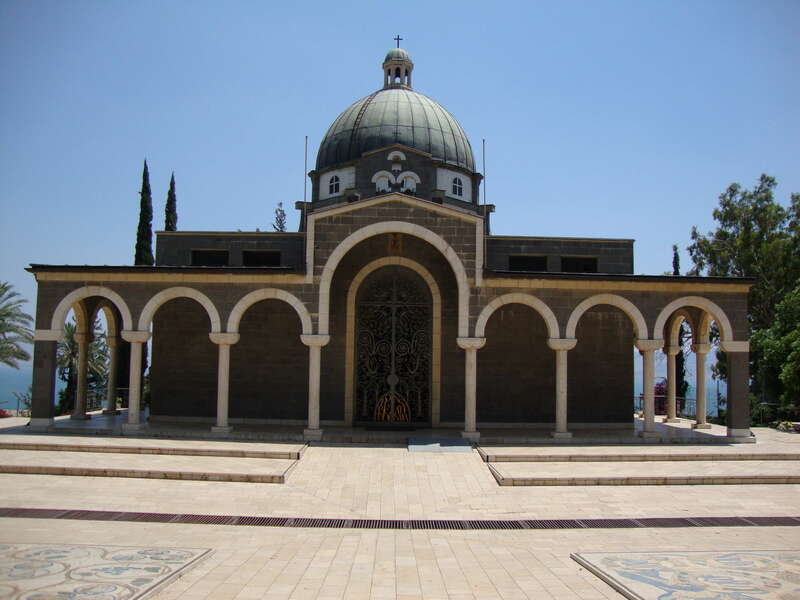 Overlooking the Sea of Galilee is the Mount of Beatitudes and commemorating Christ’s Sermon on the Mount is the Church of the Beatitudes; the church is octagonal symbolising the eight beatitudes. The setting is amazing – cool and quiet gardens overlook the Sea of Galilee, and the panorama would have been much the same as when Jesus conducted his ministry in this area; all in all, an excellent place to contemplate some of the best-known Christian teachings. The Sermon on the Mount points us in the right direction and teaches the things that Jesus cares about. Maybe we should read it and reflect on it more often.